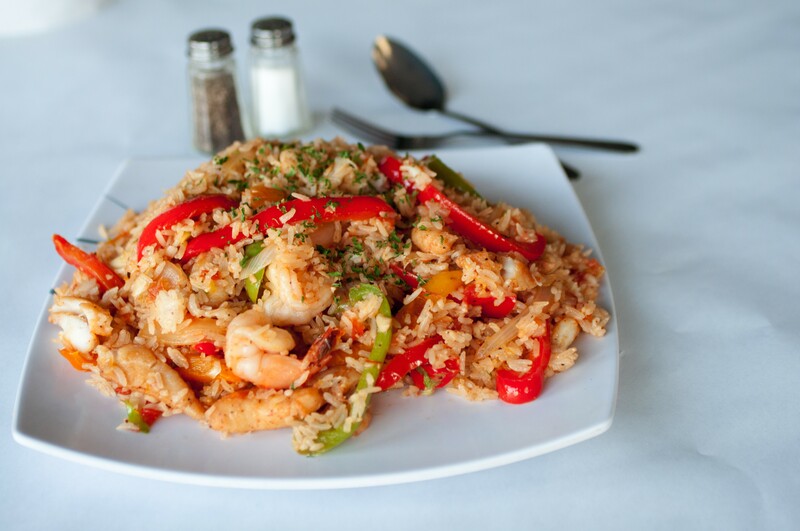 The jambalaya feels like a logical cross between the Cajun classic and Vietnamese fried rice. The East Bay's newest Viet-Cajun restaurant arrived at a time when the cuisine finally started getting much-deserved national attention. It started earlier this year, when Trong Nguyen of Houston's Crawfish & Noodles earned a James Beard Award semifinalist nod for best chef — the first time a Viet-Cajun chef or restaurant was recognized in the food world's most prestigious arena. Then, celebrity chef David Chang dedicated an episode of his globe-trotting Netflix food show Ugly Delicious to the newfound tradition of Vietnamese immigrants cooking crawfish along the Gulf Coast. While many East Bay residents were already well-aware of the wonders of this uniquely American cuisine thanks to a few Asian Cajun restaurants scattered around the region, the national press followed with stories expressing fascination with the murky history and explosive flavors of Vietnamese mudbug boils. Here's where it gets complicated: Most East Bay Viet-Cajun restaurants actually model their businesses after the Boiling Crab, a mini-chain born in Southern California that was inspired by the original thing in Texas and Louisiana. This is important to note because the Boiling Crab serves a very simple menu of boiled seafood, sauced up and spicy, with just a few other options — fried seafood, French fries, and chicken wings, essentially. But in Houston, which is widely recognized as the current epicenter of Viet-Cajun food, there are places that offer far more creative and wide-ranging dishes, such as crawfish pho and Cajun-spiced curry. East Oakland's Queen's Cajun Seafood, which opened in May, brings diners slightly closer to Houston. While the promise of fresh shrimp, crawfish, and crab might initially draw folks into Queen's Cajun Seafood, the restaurant's best dish is actually the turkey neck stew. The piping-hot bowl stars a massive and meaty turkey neck, cooked for three to four hours until soft and tender. Ears of yellow corn, waxy potatoes, and jalapeños mingle in the soup, which sports an inviting, nearly opaque shade of tan. It tasted ideally salty and soothing — perfect sick-day food, with soft, toasted garlic bread on the side for dipping. According to owner Trinh Ton, "it's a Texas thing." Ton described opening her own restaurant as a longtime dream. She recruited one of her good friends, a chef from Houston, to move here and help make it happen. The crawfish are larger and meatier than you might expect. Another so-called Texas thing at Queen's Cajun is the jambalaya, which felt logically crossed with Vietnamese fried rice. Appearance-wise, it leaned toward fried rice with no reddish, tomato tint — which is actually indicative of the Creole style — nor any smoky sausage. But a hint of jambalaya flavor came through, just more subtly, with sliced bell peppers, scallions, onions, and garlic along with a generous amount of shrimp, crab, and shelled crawfish. Queen's Cajun fries items exceptionally well. The fried alligator reminded me of Taiwanese popcorn chicken but pleasantly chewier and dusted in Cajun seasoning. The light, scallion-topped gravy on the side deftly straddled the American South with Saigon. While fried catfish is a staple on local Viet-Cajun menus, I haven't encountered a version as crunchy as the slabs of golden fish at Queen's. The chef uses a coarse, stone-ground cornmeal that stuck to my fingers, protecting perfectly flaky flesh inside. Even as the fish sat and cooled, it retained that crunch until the last bite. The fried shrimp — crispy and juicy — impressed as well. Blackened seafood is also on the menu, but it wasn't available on my two visits. The grilled shrimp, however, served a similar function with dark edges and a hint of smoke. Still, most diners go for the more familiar Viet-Cajun tradition of boiled seafood, served in a plastic bag along with bibs and gloves. You can treat the bag like a precarious bowl or dump the contents out onto the butcher paper-lined table and dig in. (You can probably tell which way I find more fun.) Tables are equipped with massive rolls of paper towels, and servers will bring wet wipes when you're winding down. Hacking crawfish apart and sucking out their meat might feel laborious for some, but it's all part of the intentionally slower, social, and messy dining experience. I usually don't find ordering crawfish to be a worthwhile experience in California — too often, they're previously frozen and taste mealy, or they're so small that it seems impossible to feel satiated. 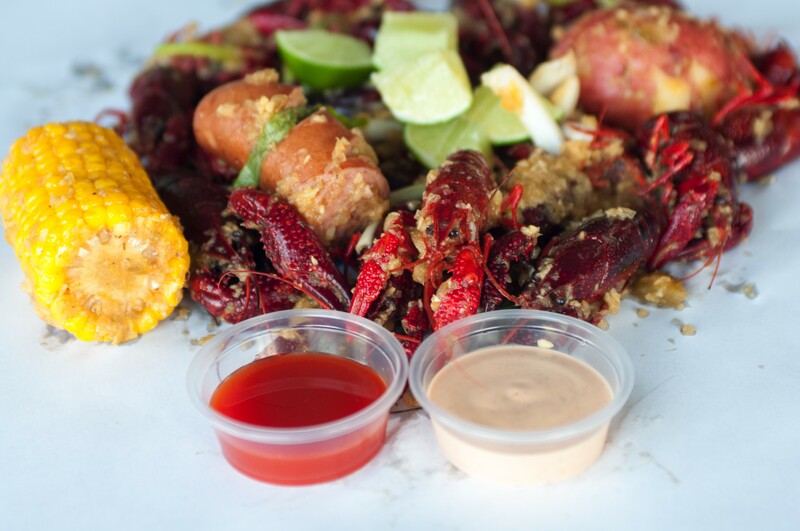 At Queen's Cajun, though, the crawfish start out alive in the kitchen. And they're far larger and meatier than you might expect. That said, it's hard to beat fresh shrimp, and head-on boiled shrimp here deliver. And at $14 for a pound, it was less expensive than my experiences at, say, the Boiling Crab. The sauces, however, slightly disappointed. I'm accustomed to intense, fiery flavors from Viet-Cajun seafood boils, and even the Queen's sauce — a combo of the lemon pepper, garlic butter, and dry Cajun seasoning — ordered spicy turned out fairly tame. It was enjoyable, for sure, with the garlic particularly coming through, but it was not the four-alarm-bell, nostril-clearing stuff you might find elsewhere. Other let-downs: The seasoned fries, often an unexpected highlight at Viet-Cajun spots, were bland and mushy; the side of green beans were overcooked and soft; and the garlic pasta, made from dried linguine, did not compare to the chewy noodle versions at other spots. While Tron said the seafood gumbo followed the Houston, Viet-Cajun style, I found it watery and overly reliant on onions and celery. Atmosphere-wise, Queen's Cajun Seafood is no Rockin' Crawfish — but if you hate kitsch, that's a good thing. It's a small spot minimally decorated with Buddhist art and Warriors gear. The sound system blares club music, with a large TV playing distracting concert videos. Some dishes take some time to come out, but the service — particularly when it comes to filling water cups and fielding requests for Sriracha — feels attentive.